I had the luxury of a day off today and took full advantage of it. 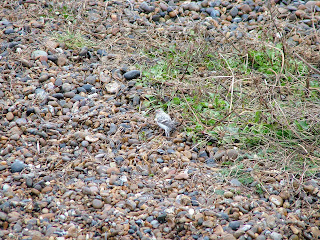 The Hornemann's Arctic Redpoll on the coast at Aldeburgh in Suffolk has been happily feeding away within a few feet of all who have gone to see it this past ten days of so, and because it is a very rare visitor to the British mainland – there would be few opportunities to see one in future – I took a chance and went for the twitch. Shetland is a good stamping ground for them but I'm not likely to visit the islands in the near future, so there was nothing for it but to go on the relatively long journey. I was a bit concerned that the clear skies overnight might encourage it to make tracks after such a long stay, and there was no information coming out during the morning to suggest it was still present, but I went for it anyway. Two and a half hours later I was in Aldeburgh but not sure where to go. I started out to the north of the town but this was clearly not right. One bonus was seeing about 300 Barnacle Goose feeding in the wetland area inland from the beach but that wasn't why I was here. Eventually, having asked someone I found the right place south of the town opposite a boat yard. There were about 20 birders up to the seafront and they were clearly watching the Redpoll. At least now I could relax. 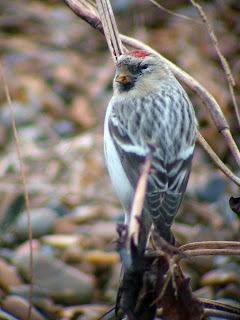 The Hornemann's Arctic Redpoll was yet another rare bird indifferent to the company of humans. This was mightily convenient as it meant it could be viewed at leisure within a few feet. 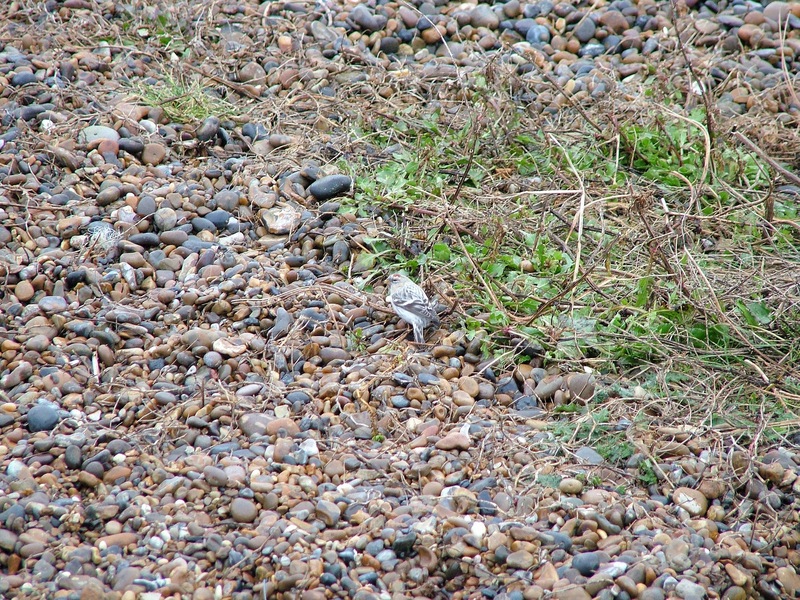 Along this long strip of shingle beach this striking bird wasn't hard to miss. Considerably larger than a Lesser or Common Redpoll, and often described as a 'snowball', it was a plump, pale bird with a white rump and faint streaking. 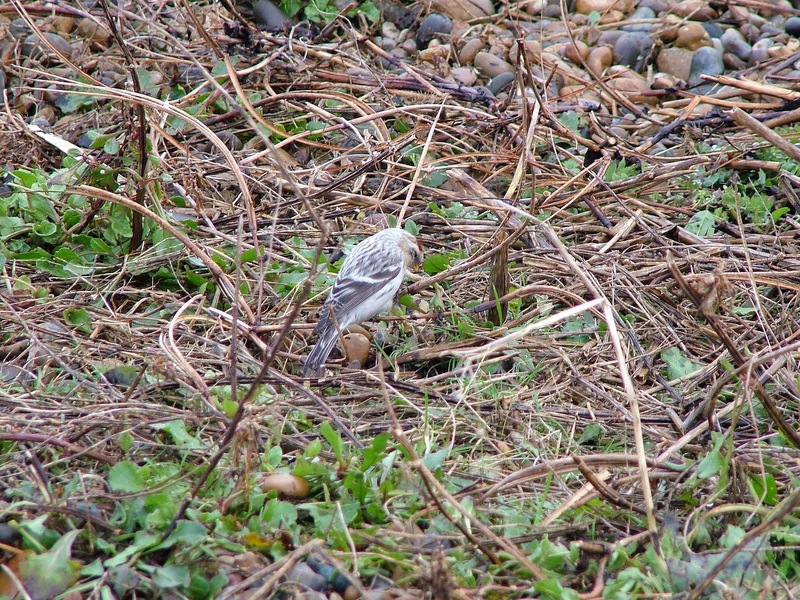 It was eagerly feeding on the vegetation just a few feet away from the footpath. If you go to the Anglia TV website (http://www.itv.com/news/anglia/) you will see me being interviewed (brief footage of a tired-looking old sod, so don't get too excited. It's been a long few months and it had been an early start). Shortly afterwards, the Hornemann's decided to fly off down the beach before turning round and heading off over the boat yard, where it dropped down out of site. I'd timed my visit well. So that was the Hornemann's. Well worth the journey. On the way back I went to Chenies in Buckinghamshire, where Lee Evans had posted that a Great White Egret had returned. 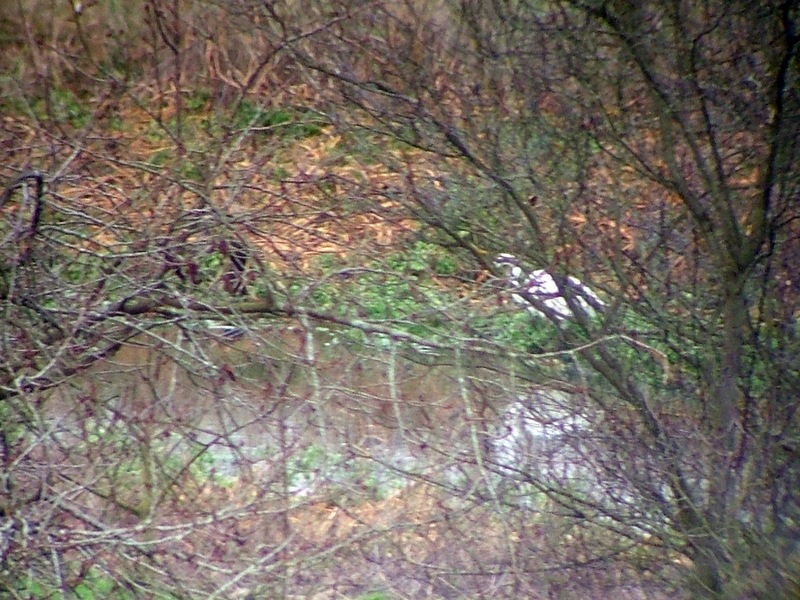 While the viewing was in complete contrast to the Redpoll – it was about 400 yards away and behind trees for much of the time – I did at least get to see the Great White Egret wading along the river in the Chess Valley. By this time it was 2.30pm and the light was already beginning to drop. With little time left I set off for Staines Moor, which was only a slight detour from the journey home. The plan here was to see the Short-eared Owls that Lee Dingain has featured on his blog and have been seen regularly on the Moor for the past few of weeks. Lee mentioned they favoured the east side and as soon as I walked on to the Moor from the southern end I saw one quartering in the distance. As I walked closer two more Short-eared Owls flew up from the deck and I was treated to an excellent sky dance from them. 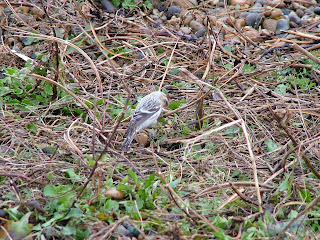 Unlike the Papercourt Short-eareds, these were less showy and disappeared for long periods but there were plenty of Crows around and one Owl that had caught a rodent was hassled for some time before it could concentrate on its meal. 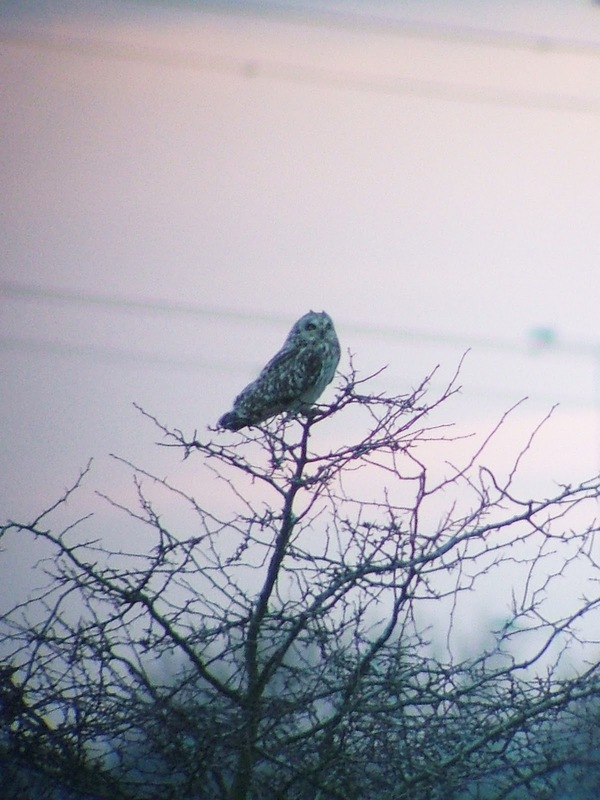 I was lucky as I walked back to find one perched up on a small tree, and so I had great views as it stared at me and I stared at him for a few minutes. Great stuff. 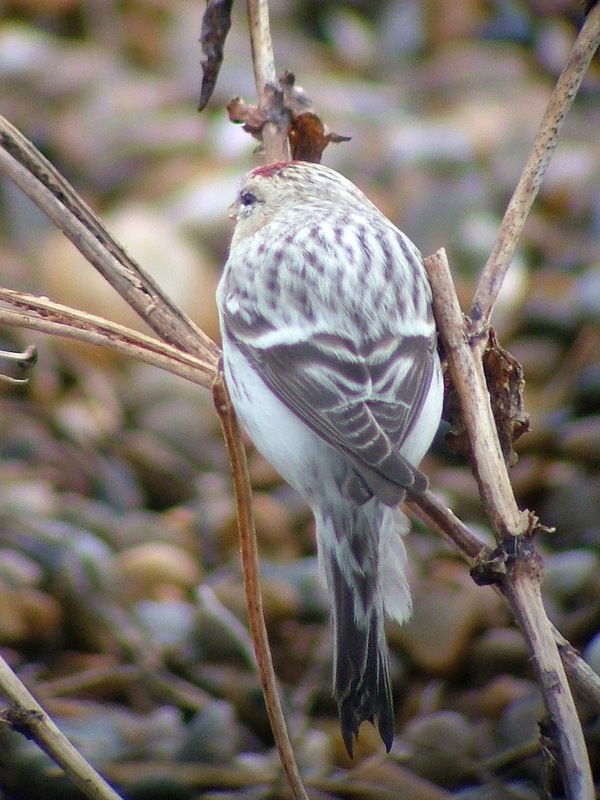 As the light faded I flushed a Water Pipit on the river bank that kept a discreet distance at all times from then on. All in all, it was job done. A very good day. Glad you had good views! Hopefully they'll get a little easier as winter progresses. How do you apply a blog archive of your posts? I can't seem to find how.